I love the ambitious spirit of those who dream big; who believe there are no limits to where and how a person can simply be in the world. A wonderful example has recently returned to my thoughts; a grand project that touches and inspires us right here in the Sulmona Valley. At 6,166km, the Sentiero … Continue reading "Sentiero Italia"
Hello Sulmona Valley Walkers! The end of the year is upon us – a perfect time to bring you up to date with what has been a very busy one for Sulmona Valley Walks. Below is news about the walks catalogue, articles we’ve published, using the valley’s public transport, website developments and, hooray, the new … Continue reading "It’s Been a Busy Year!" 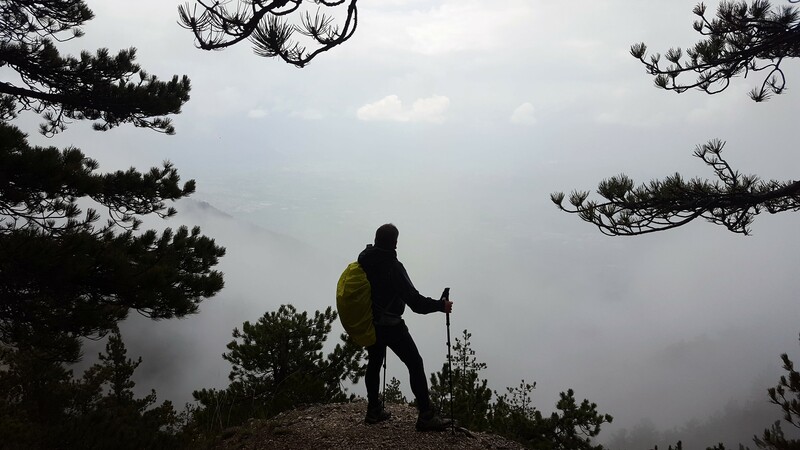 The slopes and high pastures of the beautiful mountains that encircle the Sulmona Valley are not just a haven for wildlife and a place for us to explore, experience and enjoy but they are also, for many, a place of work. In the summer months the Abruzzo highlands are grassy and vast – used predominantly … Continue reading "Encountering Sheep Dogs – Dos and Don’ts"
The first thing you reach for when planning a walking day is the map. And it’s the first thing you put in your rucksack. I’m often asked about those that should be used for walks in the Sulmona valley so here is a summary of what you should know. The chances are that where you … Continue reading "Maps for Walkers in the Sulmona Valley"
There’s a particular satisfaction in spending a day out walking knowing that you didn’t use a private car in the process. And if you live in Sulmona or are based there for a while then it is very achieveable. The Sulmona valley has a well-established public transport network and a walking holiday here for a … Continue reading "Public Transport in the Sulmona Valley – A User Guide"
When you download a walk from our catalogue two files are copied to your device (your smartphone, tablet, laptop etc…): a document which is a description of the walk, containing formatted text and images, in the portable document format (pdf) a text file which is a list of the sequential route waypoints, each defined as GPS … Continue reading "GPX Files and What To Do With Them"
It’s often the first thing to consider about an area for a walking trip. When’s a good time in the year to go? I’m asked the question quite a lot about the Sulmona Valley, so here’s an expanded version of what I say! The first thing to know about are the seasons. Assuming you’re not … Continue reading "When to Walk in the Sulmona Valley"
Hi! Our website is mostly about the collection, publishing and downloading of descriptions of walks in the Sulmona Valley area. So, let’s begin there… We started with the idea of building an electronic library of walks we have enjoyed over the past 11 years in our lovely corner of Abruzzo – at least 20 to … Continue reading "How to Use this Website!" In recent weeks I’ve spent several days in the Morrone massif and have seen, up close, how the mountain is recovering after the significant wildfires that broke out across it last August. Anyone who witnessed those flames sweeping through the forest and grassland will not be surprised to know that the damage has been significant. … Continue reading "Monte Morrone after the Fires"
Well, we’ve been busy this past couple of months – planning, walking, writing and publishing. I’m very pleased that we have reached our half-way route publication target with a couple of weeks to spare. Hooray! There are now 10 walks completed and available for download from the catalogue on the Sulmona Valley Walks website. Check … Continue reading "Route Publication Hits 50% Target"